This year, Heritage Open Days is set to open the doors to over 30 historic properties across Colchester for FREE, including Colchester Castle on Saturday 8 September. From 6-9 September and 13-16 September 2018 Colchester’s sites of significant historical and architectural interest will open their doors to the public at no charge. Other planned activities over the two weekends include accompanied guided walks, talks, tours and exhibitions. Heritage Open Days is England’s largest festival of history and culture which sees historic places country wide throw open their doors to celebrate their individual heritage, community and history. 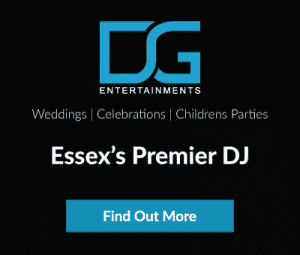 It provides a great way to discover Colchester’s fascinating history and see inside venues that are usually closed to the public, all for free. This year two new properties throw open their doors: the Lepra Museum in the Octagon Building, Middleborough, and the Abbey Field Centre, the former military gymnasium which is now being used as a creative space by the Mercury Theatre. Councillor Tim Young, Deputy Leader of Colchester Council and Portfolio Holder for Business and Culture, said: “Colchester is packed full of sites of historic interest. Heritage Open Days provides a unique opportunity for both residents and visitors alike to gain access to these outstanding locations and celebrate what makes our town special. Colchester Castle is set to open its doors for free for one day only on Saturday 8 September 10am-5pm (last entry at 4.30pm). 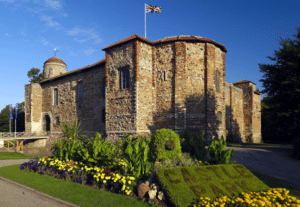 The Castle, now an interactive museum, offers a dynamic mixture of hands-on activities and incredible ancient objects from Colchester’s Roman past which are of international significance. It is advised to arrive early and allow extra time for Castle visits, as it can get busy. Heritage Open Days in Colchester is coordinated by Colchester and Ipswich Museum Service with support from local heritage organisations.